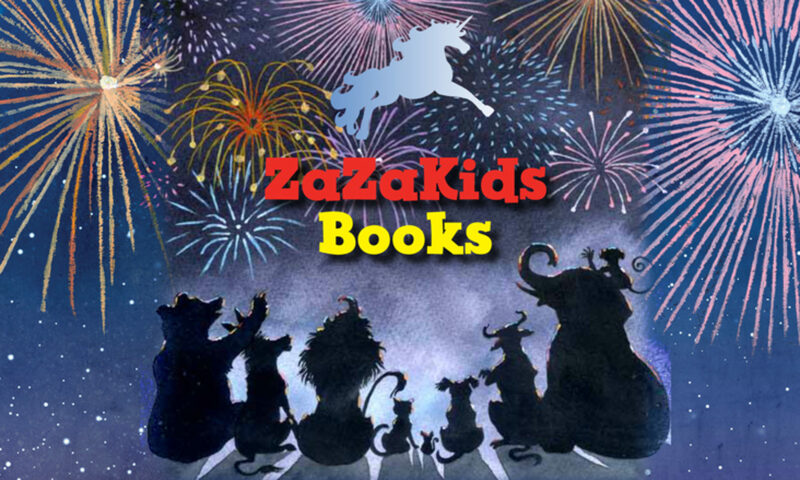 This is ZaZaKids BOOKS’s first book, published in association with Troika Books. 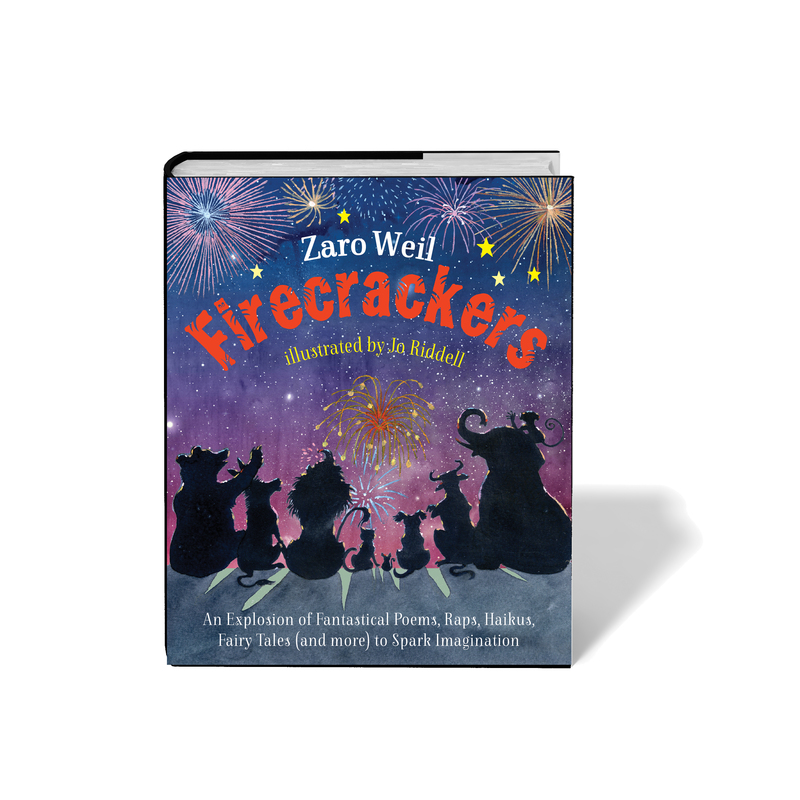 Written by Zaro Weil, it is a heart thumping page-turner of exuberant and curiously conjured words aimed at anyone over seven years old. FIRECRACKERS will launch on March 21 in London – on WORLD POETRY DAY. These 101 poems, rhymes, raps, haikus, ballads, little plays, fairy tales and tall tales pulse with excitement and wonder. It is a book where experience is turned upside-down; questions are answers, tomorrow is yesterday, and tears are laughter. Every page invites the reader into an enticing world where concepts, language and rhythms conspire to spark imagination. FIRECRACKERS looks beautiful too, with wonderful illustrations by artist Jo Riddell. 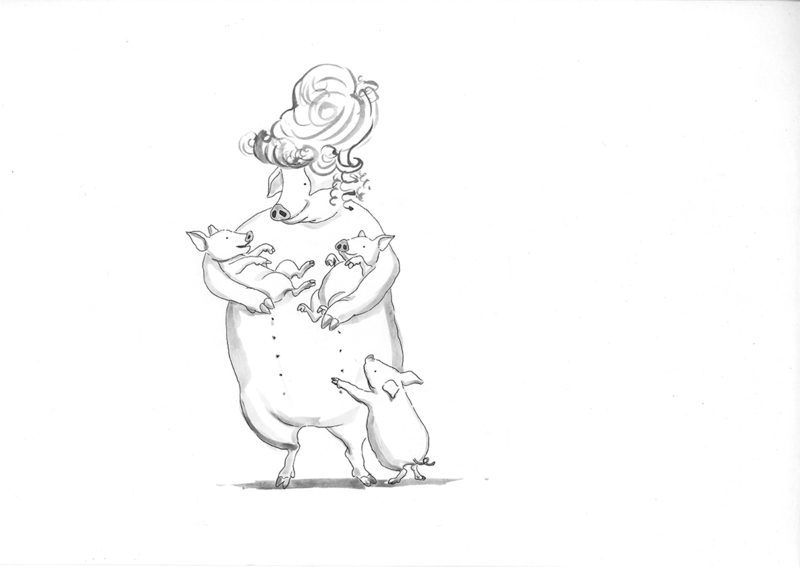 Over one hundred and fifty evocative and gorgeous line drawings and ink washes draw the child ever deeper into that mysterious world where the everyday becomes magical. And there is some high-tech fun. If you download a certain app on your phone, or link to Youtube, you can hear a fantastic audio recording of the book which includes haikus, plays, ear rattling raps and hilarious songs. Firecrackers contains the complete text of the now classic ‘MUD, MOON and ME’ published over 25 years ago by Orchard Books in the UK and Houghton Mifflin in the USA.